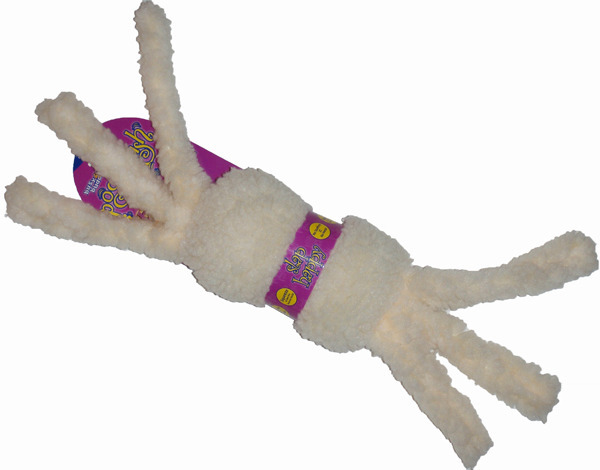 We are always looking for the most durable no stuffing dog toys. 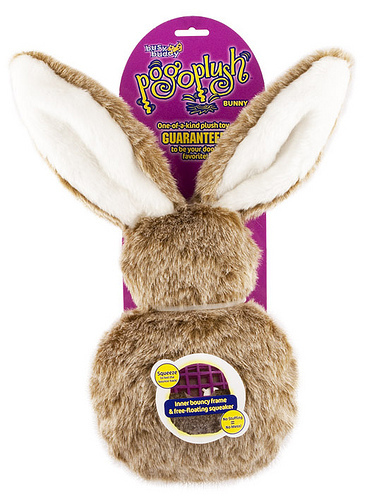 Premier has designed their Pogo Plush dog toys to be super durable and with no stuffing. We received a sample of the Pogo Plush original dog toy a few years ago and put it to the ultimate test with our Labrador puppy. Nia, is now three and her Pogo has remained one of her favorite "go to" dog toys. They have built it with a bouncy rubber inner frame and then put a faux sheepskin material over the frame. Within the frame is a free floating squeaker. This toy has been tugged on, chewed on, washed at least 4 times and it has lasted through all of it! They recently came out with new variations on the original Pogo plush design. There is the Pogo Plush Bunny and new Slap Happy. They both have the inner bouncy frames and squeakers. There is something about the bounce back of the rubber framework that keeps dogs enticed and wanting this toy again and again. We can't say enough about Premier's Pogo Plush dog toys. Please visit us at Mickey's Pet Supplies for your Pogo Plush dog toys and many more no stuffing dog toys. Mickey's Pet Supplies is a natural pet store for cats and dogs. We specialize in personal service, low prices and lightning fast shipping. Our customers and their pets are like family.